It’s easy to think of ways we could improve airplane seat design. It takes some sick creativity to think of how we could make it worse, though. But the world is full of sick people—like these dudes from North Carolina who want to put airplane seats on wheels and control them with an iPad. Please god, no. 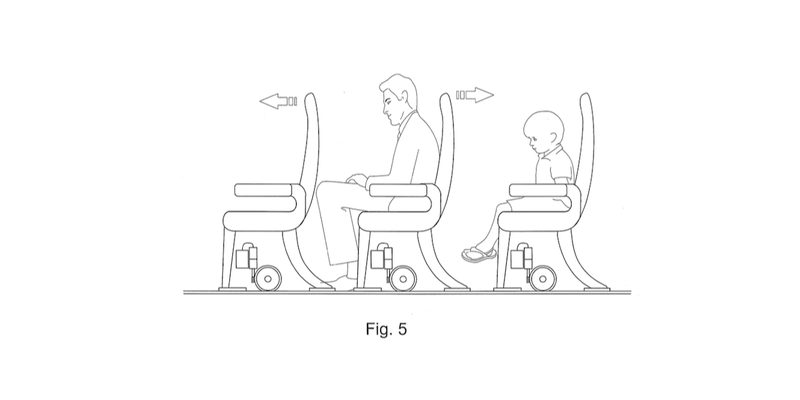 In a patent application, the inventors detail how the location of the seats would change “based on the size of the seat occupant.” In other words, if you’re a tall man with bad posture, the flight attendant could move your chair back into the ample leg-room of the little dome-headed kid behind you (see below). Airlines would probably figure out a way to charge money for this sliding scale of comfort, too. Looks like a toe-eating machine to me. I have a better idea. Let’s just just bolt a bunch of non-reclining seats to floor and bring back free booze on planes. That would improve the experience of flying for sure!